Don Scheidt learned early on that he didn't like the flabby, gassy stuff that people insisted on calling "beer." One fine day, though, a nice northern German Pilsner crossed his lips, and since that fateful day, nearly thirty years ago, he's never looked back. That taste was followed by his first visit to see his grandfather and uncles in Germany, 25 years ago, where he also got introduced to the delights of D&uuml;sseldorfer Altbier and K&ouml;lsch. Permanently and thankfully corrupted, he has since retained an undying love for the best of German beer, but also has travelled to the UK, Belgium, the Netherlands, the Czech Republic, Austria, and other European lands to savor the great beers of their native regions, and has been pleased to support the rise of the American craft brewing movement. 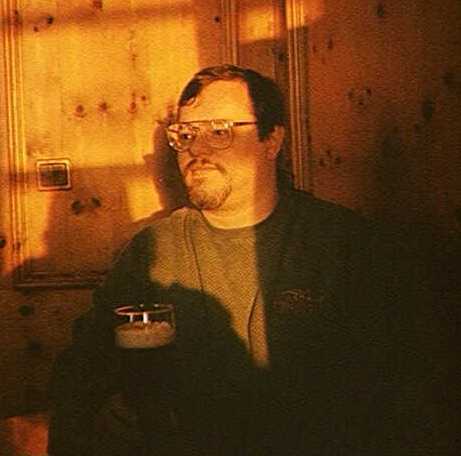 He has been writing for the Celebrator Beer News since 1998, and is now a contributing editor for BeerWeek, the weekly e-mail newsletter covering the beer industry. He resides in Seattle, and is never too far distant from an excellent pint of a fresh, well-made, locally- brewed beer. Here are my top 10 picks. Limiting myself to ten was a major exercise in restraint. Straub's Brauerei Drei Kronen in Memmelsdorf. and Braurei-Gasthof Hartmann in Würgau are excellent little breweries that produce their own variation on the Rauchbier theme. The final three on the list are not terribly far from Forchheim: St-Georgen Bräu in Buttenheim being probably the most well- known of the bunch, Brauerei Penning-Zeissler in Hetzelsdorf and Gasthausbrauerei Hufeisen in Pottenstein are more popular as weekend destinations for people getting away from the big cities. All of them feature excellent, distinctive beers. Which number is highest 23 or 35?